Alicia Paley Home Interiors is an award winning sustainable design studio in Thousand Oaks, California. My goal is to provide each client with a unique space that reflects their individual personality and life style. Your home should be a place that you love, not one that causes you stress. I work closely with my clients, offering a personalized level of service and bringing proper attention to detail. I believe that one of the most important skills a designer can bring to a project is the ability to listen. This is one of my strongest skills, which enables me to successfully transform ideas into reality, providing each client with a space that is uniquely their own. You deserve a home you love. Call me today, and let's get started transforming your home! The best way to reach me is to go to my website and click on CONTACT. *Please note, I do not accept design inquiries through text messaging. 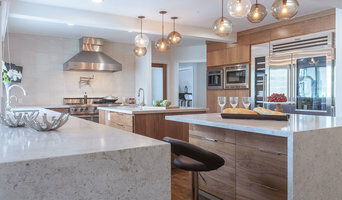 "Best of Houzz Service 2019 /2018/2017 " I established Pacific Interior Design Group to work in partnership with other top-notch design and trade professionals so we can create unique design solutions tailored to our client’s visions and needs. We love the challenge of working within a client's existing decor, as well as clients who are open to trying something different. No matter what, we always stay true to each client’s tastes, style, and budget. I've always felt that my purpose in life is to make everything beautiful. I believe in making sure you leave everything you find more beautiful than when you found it. This is why I love to reclaim the life, function, and beauty of sentimental pieces and estate or garage finds. This kind of “green” design not only helps clients hold on to their cherished family or found pieces, it also extends the life of the furniture and prevents landfill buildup. Painting since I was 2 years old, I've always had a very fond relationship with color. This relationship would lead me to become a color trainer, muralist, and commissioned artist. One of my missions as an Interior Designer is to prove to clients that color is nothing to be feared. Combining artistic and tasteful style with extraordinary attention to detail has become a winning combination, resulting in an extensive list of satisfied clientele. Denise and Pacific Design Group have been featured in the Design House, sponsored by Ventura County New West Symphony. Monica Nordquist Design leaves clients with a refined, sophisticated space that uniquely reflects them. Monica has an exquisite eye for color, materials and details and this skill works wonders in remodels, renovations and whole home builds. She will collaborate to achieve a creative environment that solves your space problems and leaves you with a 3D interpretation of your persona. Your soul is waiting to be satisfied, depend on Monica to help accomplish that. As a national bathroom design award winner and a participant in numerous Southern California showcase houses, including twice at Greystone Mansion in Beverly Hills (a 45,000 square foot home built by the Doheny family in the late 20's), Monica Nordquist Design is both applauded and accomplished. Jori Bitterolf is the founder and principal of Jori Interiors. She has over 20 years of experience in many different areas of interior design. From space planning to selecting furnishings, window treatments, surface and cabinetry finishes, paint selection and accessories, her understanding of her clients' style, her conceptual vision and a broad base of skills help her develop the home her clients have come to love.� Her experience is the result of working in retail design stores and interior design studios. There she was able to develop a long list of resources for interior design services - including furniture, window treatments, flooring and counter-tops. She is certified with the Interior Design Society (2001) and the Council for Qualification of Residential Interior Designers. Servicing Ventura and Los Angeles Counties, Gallery Home Staging ensures your home transitions into a product that's ready for market or transforms into the home you want to keep for yourself. 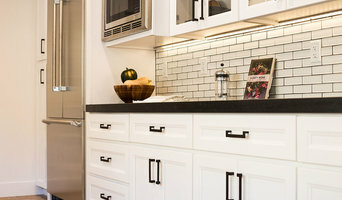 Gallery Home Staging has reputation for: 1. Showcasing the features and functions of the house. 2. Addressing common buyer concerns before they manifest. 3. Bringing your house to 'Model Home' standards where buyers can see themselves living. 4. Working with clients to address their personal design needs. Gallery Home Staging builds a relationship with Real Estate agents to ensure its efforts support and compliment the overall effort for the client, such as, making sure the house is ready by the target market date and that an emphasis is placed on known problem areas. Mission Statement At Gallery Home Staging we will commit every effort toward the successful sale of a clients house, for the most amount of money and in the least amount of time. We will utilize existing resources wherever possible, remain true to the integrity of the house and its environment and, above all, remain sensitive to our clients needs. We will know the surrounding market and strive to ensure our clients house will "BE THE COMPETITION" to beat. I bring over 30 years experience and an education from UCLA Interior Architectural Design School. I am CCIDC certified #4404 and operate with a very high standard of work ethic. Every project is addressed with a sense of individuality. There is no "style" I cannot work with. I specialize in space planning, interior architectural detailing, custom remodels and kitchen design. I provide hard earned knowledge, vast experience, hands-on-application, and even "vision-ability" to help you meet the needs and goals of your project. In the past 27 years I have worked on a very versatile list of projects with some amazing and fun clients. I handle every phase of the project myself starting with the initial client meeting and ending with the placement of the final piece of artwork. I have a team of excellent craftsmen and workers that have proven to be extremely reliable and provide quality work over the years. I am very detail oriented and particular about how my designs are implemented. I am hands-on during every project and accessible by phone at all times for my clients and workers. I will work with clients who only need one window treatment to those doing new contruction of an entire home. I look forward to hearing from you in the near future! 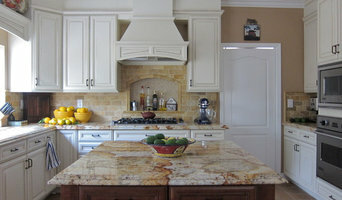 Leslie Dawson-Mouzis Interior Design is individually owned and operated in Simi Valley, CA. I have been an Interior Designer since 1982 and started my own business in 1987. I received my education from UCLA Interior Architectural Design School. In addition to my design skills, I have broad experience in specifying, purchasing, expediting and project management. Prior to starting my own company I worked for one of the largest design firms in the country where some of my projects included Mobil Oil Corporation, Columbia Savings and Loan, Sports Connection, Law Offices, Marina City Health Club and Showa Condominium Resort in Tokyo Japan. In 1987 I left corporate design work and started my own design firm. Since then my main focus has been residential design. A good home design professional will hone your style down to its very essence and be able to choose a functional layout that feels natural to you. Interior design companies can be involved as much or as little as the client desires. Many clients who hire an interior decorator in Newbury Park, CA — particularly those who are remodeling — have a good sense of how the room should look and what products they should use. Often clients will insist that interior decorators use the products already present in the house. Other times a designer will need to start from scratch — especially if this is a newly purchased or just-built home. An interior design company will need to figure out exactly what the client needs, which includes organizing rooms, picking flooring and wall colors, and finding furniture to complement it all. Sometimes that means he or she will have to recruit help from other Newbury Park, CA home professionals to help create the perfect look for your renovation. Here are some related professionals and vendors to complement the work of interior designers & decorators: Architects & Building Designers, General Contractors, Home Builders, Design-Build Firms, Photographers. Do your research before meeting with an interior designer or home decorator in Newbury Park, CA. Ask yourself what you want your space to become and what it will be used for. Figure out the extent of what you need help with, what your must-haves are and what your budget is. Interior design services can add up fast, so be up front with a potential design firm or individual from the beginning. Also, pick an interior decorator that fits your style. Browse through the portfolios of different Newbury Park interior design firms and decide if you would live in those houses. Just because you like something doesn’t mean you could live in it. There's a big difference! Find an interior designer or home decorator in Newbury Park, CA on Houzz. Narrow your search in the Professionals section to find Newbury Park interior designers near you. 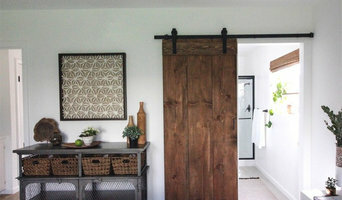 You can also look through Newbury Park, CA photos to find a room you like, then contact the design firm who designed it.